On May 27th, the Department of Veteran’s Affairs committed to a “Summer of Service” initiative that gets individuals and communities involved in helping veterans nationwide. There are so many great charities, organizations and non-profits for individuals to join such as: Soldiers’ Angels, Wounded Warrior Project, Paralyzed Veterans of America, The Coming Home Project, Operation Home Front, Freedom Hunters, VA Vigilante, Inc., Rolling Thunder and so many more. Which organization do you plan to volunteer for this year in an effort to serve the veterans in your community? 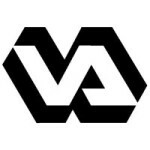 The week of June 28th, the VA Department of Veteran’s Affairs will be holding an open house at some VA facilities in an effort of raise awareness of local organizations, charities and non-profits in which you can get involved in. This summer reach out to your local veteran’s charities, organizations and non-profits and lend a hand to the veterans in your community! Every little bit helps.